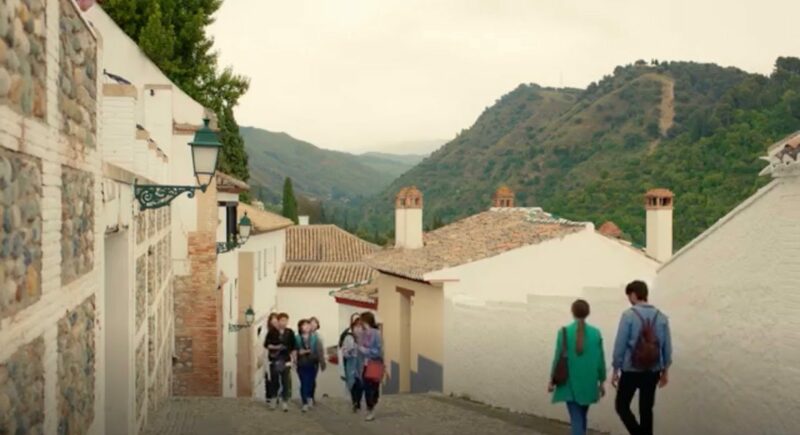 Jung Hee-joo (Park Shin-hye) rushes her tourist group through this sightseeing place on her tour through Granada in episode 3 of Memories of the Alhambra (알함브라 궁전의 추억) (tvN, 2018-19). She and her group pass by the restaurant ‘El Huerto de Juan Ranas’ on their way; a restaurant that sits around 50m from this public square. 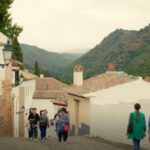 Mirador San Nicolás is a very known and frequented sightseeing spot in Granada, Spain. It is especially known for its view on the Alhambra and the mountain range ‘Sierra Nevada’. 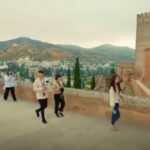 This place is recommended to visit during sunset or sunrise and during the afternoon when the sun colors the Alhambra in rouge and orange. The square sits right in front of the San Nícolas Church [Parroquia de San Nicolás] in Granada’s oldest neighborhood Albaicín.